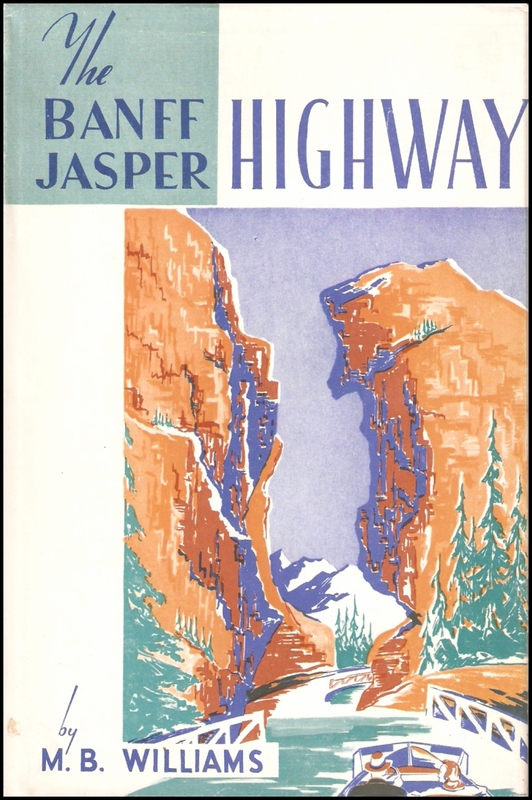 The Banff Jasper Highway. Cover. This image appears in: MacEachern, Alan. “MB Williams: Living & Writing the Early Years of Parks Canada.” Environment & Society Portal, Virtual Exhibitions 2018, no. 2. Rachel Carson Center for Environment and Society. http://www.environmentandsociety.org/node/8305. Campbell, Claire Elizabeth. “Pragmatism and Poetry: National Parks and the Story of Canada.” In “Big Country, Big Issues: Canada's Environment, Culture, and History,” edited by Nadine Klopfer and Christof Mauch. RCC Perspectives 4 (2011): 101-11. Campbell, Claire, ed. A Century of Parks Canada, 1911–2011. Calgary: University of Calgary Press, 2011. MacEachern, Alan. “MB Williams: Living & Writing the Early Years of Parks Canada.” Environment & Society Portal, Virtual Exhibitions 2018, no. 2. Rachel Carson Center for Environment and Society. http://www.environmentandsociety.org/node/8305. ISSN 2198-7696 Environment & Society Portal, Virtual Exhibitions. MacEachern, Alan. “Banff Is … Hell? The Struggle of Being Canada’s First, Most Famous, and Most Visited National Park.” Environment & Society Portal, Arcadia (Summer 2016), no. 10. Rachel Carson Center for Environment and Society. doi.org/10.5282/rcc/7623. Kheraj, Sean. "Episode 22: A Century of Parks Canada." Nature's Past Podcast.